Keerthy Suresh to romance young hero? Malayali beauty Keerthy Suresh is getting busier in Tollywood as she is one of the most sought after actresses among the current lot. Already, Keerthy has been roped in for Pawan-Trivikram’s movie and is said to be in talks for Mahesh-Koratala’s next. 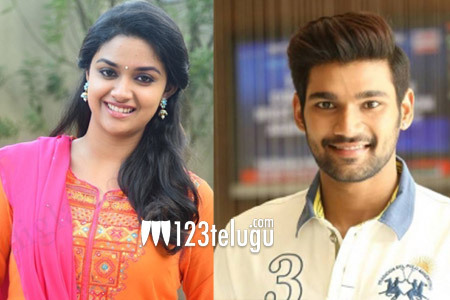 If the latest reports are anything to go by, Keerthy has been approached by director Sriwass who is planning a romantic action entertainer with young hero Bellamkonda Sai Sreenivas. An official announcement is expected to be out soon. The Sriwass-Sai Sreenivas’ movie will be bankrolled by the actor’s father and senior producer Bellamkonda Suresh.